The risk comes via Memcached, an open source utility designed to cache in RAM frequently used web pages. The web page caching utility was never designed to be internet-accessible and requires no authentication to access. But some administrators – as well as some Linux instances by default – have left TCP or UDP port 11211 open to internet-borne requests. Popular code-sharing website GitHub reported that on Feb. 28, it was hit by a massive DDoS attack that left its site unavailable or intermittently unreachable, but only for 10 minutes. Akamai, which provides DDoS defenses for GitHub, clocked the attack’s peak at a whopping 1.35 terabits per second. 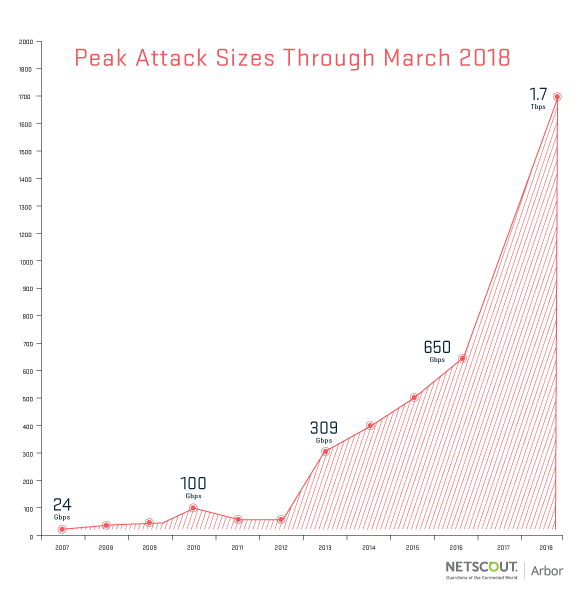 On Monday, however, DDoS defense firm Arbor Networks, part of Netscout, reported that one of its customers, a U.S.-based service provider, was hit by a 1.7 Tbps reflection/amplification attack “based on the same Memcached reflection/amplification attack vector that made up the Github attack,” according to Arbor’s Carlos Morales, who says his firm successfully repelled the disruption. 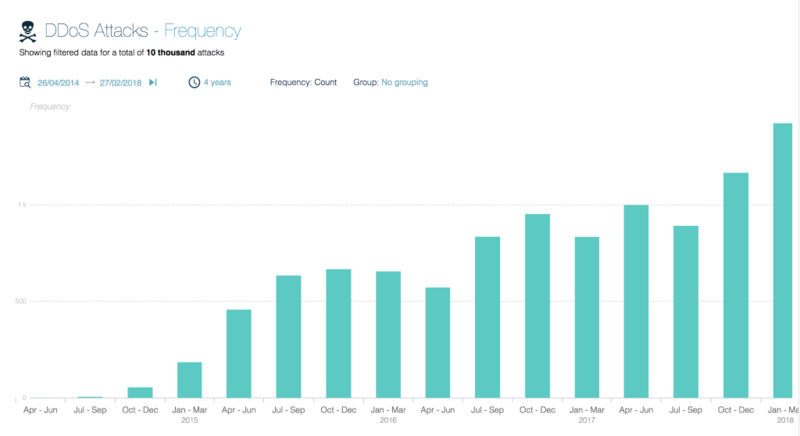 Arbor says the biggest-ever previous DDoS attack that it logged was in the summer of 2016, when a Brazilian customer was hit with a 650 Gbps attack. Some DDoS extortionists are now threatening to unleash Memcached-enabled disruptions on victims unless they pay ransoms of 50 monero – aka XMR – cryptocurrency, worth about $16,000. But Ullrich says all attacks seen to date have directed victims to pay into a single monero wallet address, meaning that these opportunistic criminals would have no way to verify which victims paid or did not pay. Memcached offers massive bang for attackers’ buck. For starters, it can be abused to inject massive keys – up to 50 kilobytes – and attackers can then use IP spoofing to create DDoS attacks with a massive rate of amplification. The U.S. Computer Emergency Readiness Team has updated its alert on UDP-based amplification attacks, originally released in 2014, to include Memcached-based reflection DDoS attacks via UDP/TCP port 11211. It warns that abusing Memcached can result in attacks being amplified by 10,000 to 51,000 times.